Integrate and automate data, in real-time. Integrate and automate data in real-time. 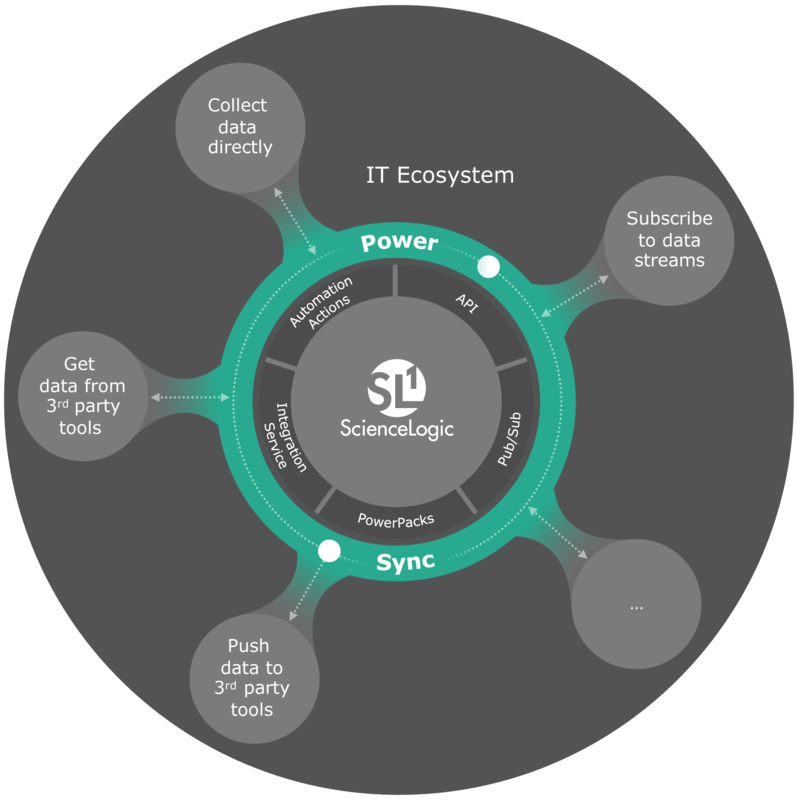 PowerSync applies a variety of techniques to continuously discover, collect, integrate, and exchange data across your IT ecosystem. 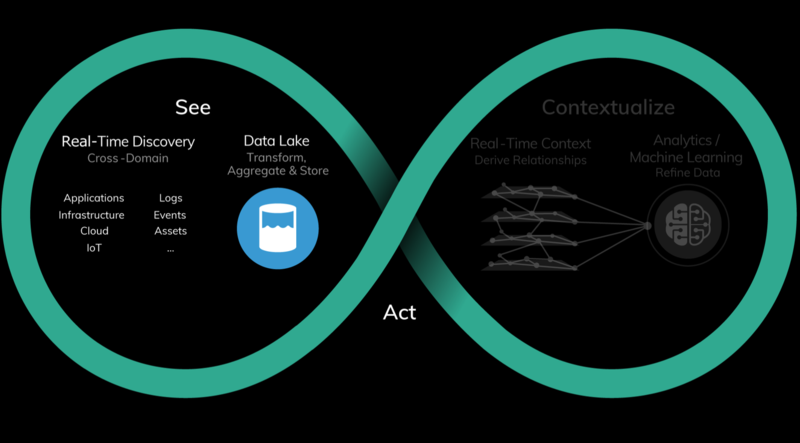 It stores data in a clean data lake where PowerMap applies context, and AI/Machine learning (ML) to derive real-time, actionable insights. Use PowerSync to initiate self-healing and automate operational processes. Automatically discover physical, virtual, cloud, serverless, and microservices infrastructure, and more. 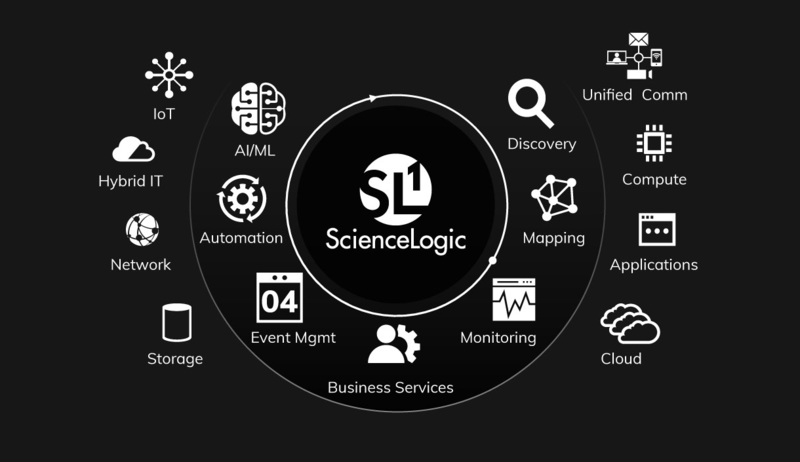 Use SL1’s patented ”miss-nothing” discovery technology to continuously discover, merge, and store IT ops data in a common data lake, so predictive action can be taken. Apply best practice monitoring policies to collect, assess, and visualize the right data. Learn more about automatic discovery. Easily integrate and exchange data with third party data sources, technologies, and enterprise IT management tools. Chain them together for full visibility and improved operational efficiency. 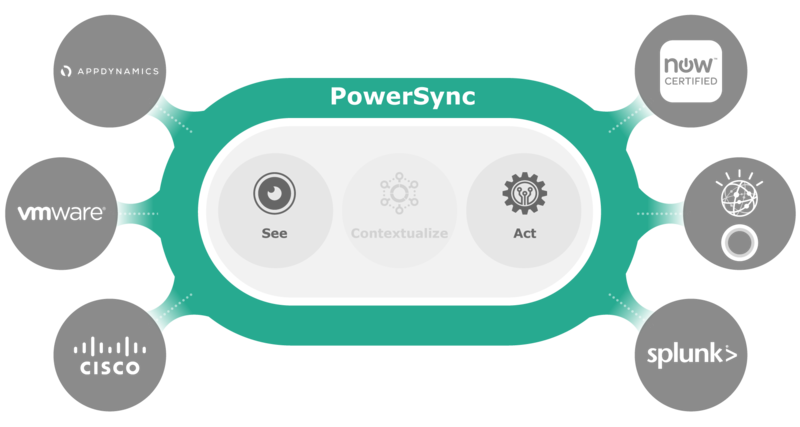 Use PowerSync to quickly integrate with asset management systems, CMDB/CMSs, ITSM, APM, NPM, Log Management, and more. Push, pull, and publish/subscribe to data feeds in real-time. Achieve higher levels of productivity. Significantly reduce or eliminate the risk of human error. Streamline and automate operational processes within and across organizational silos. Free up time to focus on more important business-critical tasks. Improve mean time to repair (MTTR) by streamlining and automating every possible step of the problem identification and repair process. Learn more about PowerPacks.